With its city centre location, ibis budget Melbourne CBD offers the perfect base for visitors travelling to Melbourne on business or leisure. This affordable Melbourne hotel is located on Elizabeth Street in the heart of the Melbourne, providing guests wi th easy access to many of Melbourne's best restaurants, bars and shops, as well as to attractions such as Eureka Skydeck 88, the Royal Exhibition Building and the Athenaeum Melbourne. 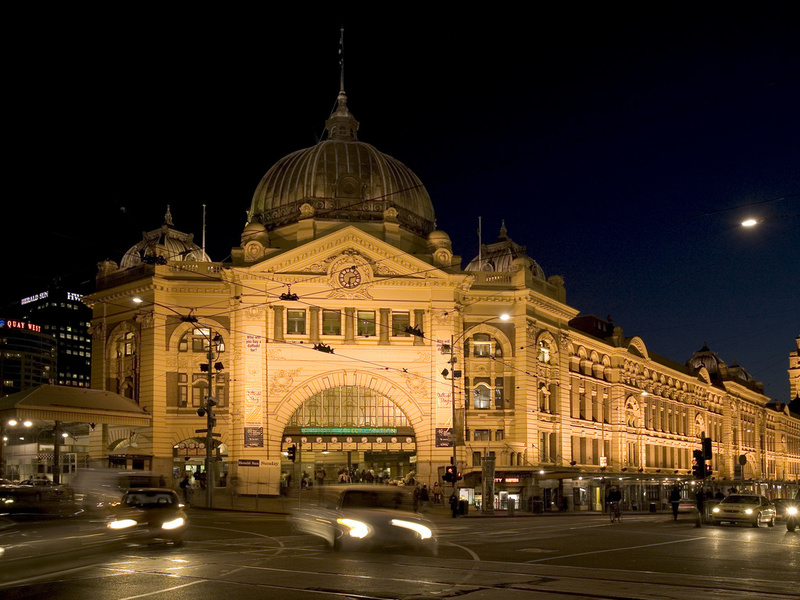 Guests are also close to Flinders Street and Southern Cross stations. Good stay - comfortable room and great location. Rooms were good - just what was needed. Cleaned every day. Reception staff were good and efficient. My 2nd time visit Melbourne and I extremely love this hotel, location is perfect, staff are so friendly. My booking had a delay on payment due to wrong account name but they are very flexible for me to pay at hotel on arrival. Highly recommend!!! Pleasant, quiet, inexpensive, and an ideal central location. As above. Staff were friendly, polite, and unobtrusive. Room was small, but cozy and had everything one could need so didn't need to be any bigger. We walked in off the street to find accommodation. Ibid was cheaper than backpackers and our host Pheu Pheu was amazing. We were amazed how easy she made everything. We were shown 2 rooms and she made our stay hassle free. The rooms were very clean. Downstairs we had food coffee and free tram at our finger tips. Loved our stay with Ibid. Thanks guys, will certainly look out for your hotels when travelling again. The only thing that I found could be improved was seat or area for smoking. You had to stand on main street as no smoking area. Felt uncomfortable as street so busy. Otherwise had awesome stay thanks to our host Pheu Pheu. An excellent stay; the accommodation was clean and regularly serviced; staff were very pleasant and very helpful. From the minute we arrived, staff were very friendly and helpful. We stayed for 5 nights in the heart of Melbourne which made our sightseeing very easy. We had a room with a view over Elizabeth Street. We could have spent several hundred dollars more for the week and stayed up-market; however, don't see the sense in that; the room was modern, we had all the facilities we needed and would choose this type of accommodation again in future. Can't really see how it could be improved; we classed it as excellent value for money. I stayed at the budget hotel during the Comedy Festival. I booked a Superior room Queen Bed. The hotel clearly advertised that it was undergoing renovations, but I was surprised to find only one lift working with very long wait times....17 minutes!! The staff at check in were polite but brisk....there was no mention of the Wifi code being printed on the small receipt like piece of paper handed to me after I paid....so I used my own...I had assumed that due to the renovations there was no Wifi...lesson learned..always ask! I was also not aware that if I offered a debit mastercard to swipe incase of any extra costs that I would also have to pay a substantial bond $200. When I questioned this the concierge laughed and told me they need a bond unless I pay by credit card so they can cover any damage I might do over night if I have a party or friends there...WTF!! The room was small with the old well used couch pushed into the back of the room and a small table squashed infront of it as there was no room for it. The other half of the room with the bed and wardrobe looked new and refurbished. The toilet was in a tiny cupboard and the shower and handwash sink hidden behind a hospital like curtain...very strange. Had I not literally thrown my bag in the room and rushed back out as I had tickets booked for a show and dinner I would have asked if this was the Superior room. When I returned later that night the lift was quick. I had a good nights sleep in a very comfortable bed. I left early the next morning as I had a train to catch before breakfast. Overall all I wouldn't stay again until renovations were finished...maybe they were halfway through placing the all new furniture in my room as advertised. A note to the concierge....don't insinuate to single women in their 50's who travel every week for work that they may abuse damage having parties or friends in their room.....I want to feel safe and secure when traveling on my own but also respected....particularly at my age young man!! My wife and I requested and was given the room requested for. The staff was accommodating and friendly although they were busy.We enjoyed the refrigerator, the clean towels and the 50&quot; TV. Staff were very good, small rooms but OK for the price. But the beds are not queen size. Story was they came from China and that is queen size in China, fair enough but it is being advertised in Melbourne and they are not queen size in Melbourne. Not sure queen size would fit in the room. this is the 2nd time in 12 months we have stayed here , reasonable. firstly the cleaning staff are wonderful and helpful. the front desk staff, most are polite and helpful except aswar a very arrogant , argumentive, unpolite, with no customer contact experience , very rude, person, how he keeps his job is beyond me. The location of the hotel is perfect but the facility is really annoying. It is a building which is very noisy inside, it has carpets everywhere and the windows are sealed shut. It means all the dust and acarus stays in the room forever and if you feel like having some air, it will only happen on the street. Ròom kept clean , towels etc renewed daily, staff so friendly and helpful. I’ve stayed st Ibis budget’s before, but this was a new level of budget. The room felt like a prison cell, the “bathroom” was dingy— the dividing curtain between bathroom and bedroom was useless and annoying. The separate toilet felt like an outhouse. Combo bathroom and toilet with a proper wall would work perfectly in these rooms. Also felt like a burden to staff when I asked for a hair dryer. I was given one but first I had to pay a $20 cash deposit and the staff told me all about how previous guests used to steal them. Word of advice, guests don’t like to be pinholed as thieves because some other budget travellers did the wrong thing; asking me for a deposit is insulting, rude, and unprofessional. Isn’t this why you keep a credit card on file for the duration of the stay and until the room is cleaned? Surely if a hairdryer is stolen during the stay the cleaners can let staff know after check out and the credit card can be charged.... overall very unimpressed. Brilliant location, friendly helpful service at a perfect price. I needed somewhere close to the train station and not too expensive. Your hotel was more than I expected. Your staff were welcoming, helpful and friendly. I was very grateful for a filling breakfast each day. The location in the middle of the city with a tram right outside the door was just perfect. Thank you for making my stay SO enjoyable. For me enough for having a nice clean bed after a day shopping and a cup of tea or coffee in the room.